Britt-Marie Was Here is A Man Called Ove author Fredrick Backman's third novel. Britt-Marie first appeared as the “nag-bag” in Backman’s second novel My Grandmother Asked Me to Tell You She Was Sorry. She’s a typical Backman character. She’s wry, annoying, flawed, and antisocial, but the reader can see that there’s hope for her to join the human race. Britt-Marie has left her cheating husband after forty years of marriage for a job in Borg, a tiny Swedish town where no one wants to live. Britt-Marie is a cleanliness freak; her obsession with baking soda and Faxin cleanser borders on caricature and it’s obvious from the time Britt-Marie arrives in Borg that she’ll be able to clean up the town’s problems even if it takes more than her beloved cleansers. Britt-Marie is the new caretaker of Borg’s decrepit recreation center for which her major qualifications are her cleanliness obsession and her dogged nagging of an employment counselor. In Borg, kids love soccer; Britt-Marie does not, but she learns about soccer as she learns to live on her own. Thus, the reader is asked to accept an improbable premise because of Britt-Marie's determination and it could have worked as Ove did - with meticulous plotting and great supporting characters. The novel offers enlightening passages that show why Britt-Marie acts as she does. “When her older sister Ingrid died in an automobile accident, Britt-Marie’s mother made her feel as if the wrong sister died.” Britt-Marie is a winning character. She’s clever, vulnerable, and funny and perhaps with a little more time and a more developed cast of supporting characters, this novel could have been as enjoyable as the charming Ove. Instead, it’s as if Mary Poppins were dropped into an economically depressed village where there’s no hope, yet the villagers’ kind hearts make them act like they’re straight out of Disney casting. Even the few evil folks have underlying problems that explain their inability to be kind which, naturally, Britt-Marie’s arrival will someday overcome. The book's children are endearing yet I often found myself trying to remember how old they were as they weren’t clearly delineated enough for me to know them. My only understanding of them was as objects who could make Britt-Marie more human. 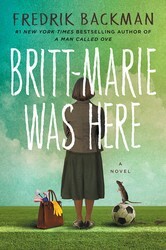 Summing It Up: Britt-Marie is charming, but the novel is too predictable. The denouement is easily discernible early in the novel yet the route to the ending is convoluted and contrived. Sometimes, three books in three years, is one too many. 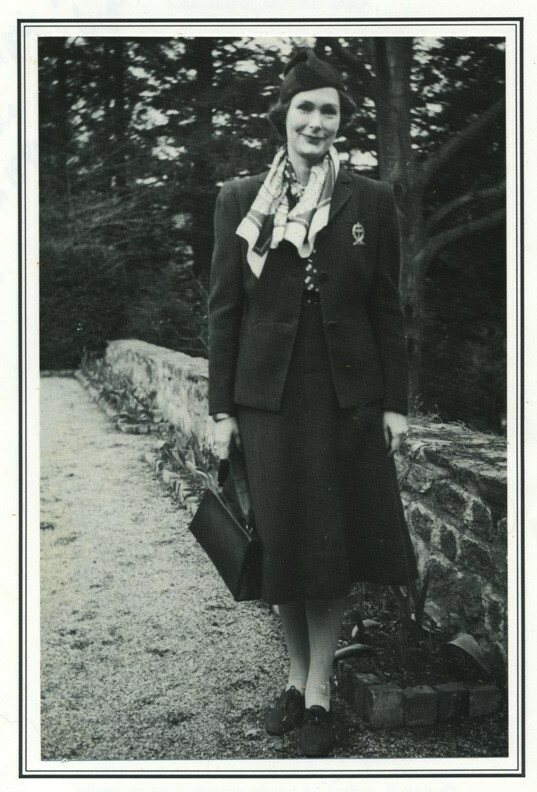 Lilac Girls is based on the true story of Caroline Ferriday and her tireless work to help French children during World War II and of her little known mission after the war to assist the women who “survived” the horrors of the concentration camp at Ravensbrück where many were left with horrible injuries and illnesses from experiments performed on them. It’s also more unusually based on Herta Oberheuser, one of the Ravensbrück doctors who performed the unconscionable surgeries and was prosecuted and sentenced at Nuremberg. By not just sharing the sweet stories of the brave and romantic, author Kelly shares the real meaning of Ravensbrück. The third component of the novel’s voice is that of Kasia, a vibrant Polish teenager whose work for the resistance lands her in Ravensbrück. Kelly makes these stories of World War II bravery and difficult-to-fathom deeds come alive as she shows the inside stories of all of these women. The novel offers readers a view of women from very different circumstances whose shared stories illuminate not just the World War II era but also the dreams of women throughout history. Lilac Girls isn’t a sad, tortured tale because Kelly infuses it with romance and the society life that Caroline Ferriday, (pictured right) who’d been a Broadway actress and debutante lived. The fictional romance between Caroline and Paul, a French movie star, offers a plot device that enlivens the pace of the story and allows the reader to see France from Paul’s point of view. Some might consider this “history light” and it is lighter reading than many acclaimed World War II novels. It has more in common with Sarah’s Key than it does with Suite Française and that’s why it’s just what many readers want. Reading about Wallis Simpson and Marilyn Monroe appearing at a charity event makes Lilac Girls a complete tale of the time after World War II when recrimination wasn’t the best way to raise money to help survivors. Using the glamour of movie stars, gorgeous gowns, and fanciful foods makes Lilac Girls appealing even when the narrative turns to dreadful atrocities. But, it is those atrocities that are the heart of the story. This novel embeds the reader in Ravensbrück where Kasia’s tale particularly resonates. Lilac Girls is Martha Hall Kelly’s first novel which is surprising because of the excellence with which she suffuses the book with her painstaking research without burdening readers with details that detract from the story. Her depiction of the characters and what they faced seems much more polished than that of most debut novels. Publishers know what readers want and thus Lilac Girls is out just when everyone is looking for “just the right book” for Mom. This will fit the bill. Summing It Up: Read Lilac Girls for a fresh look at the lives of capable, determined, brave, and yes, even evil, women during World War II. Savor the romantic twists and the glimpses of high society that allow the reader to continue reading of the horrors committed in the concentration camps. The author’s meticulous research made this reader want to learn more about Caroline Ferriday and her work and the author’s website is a treasure trove of historical data, pictures, and information.